Gooey widgets are a clean yet complex design for your stream. 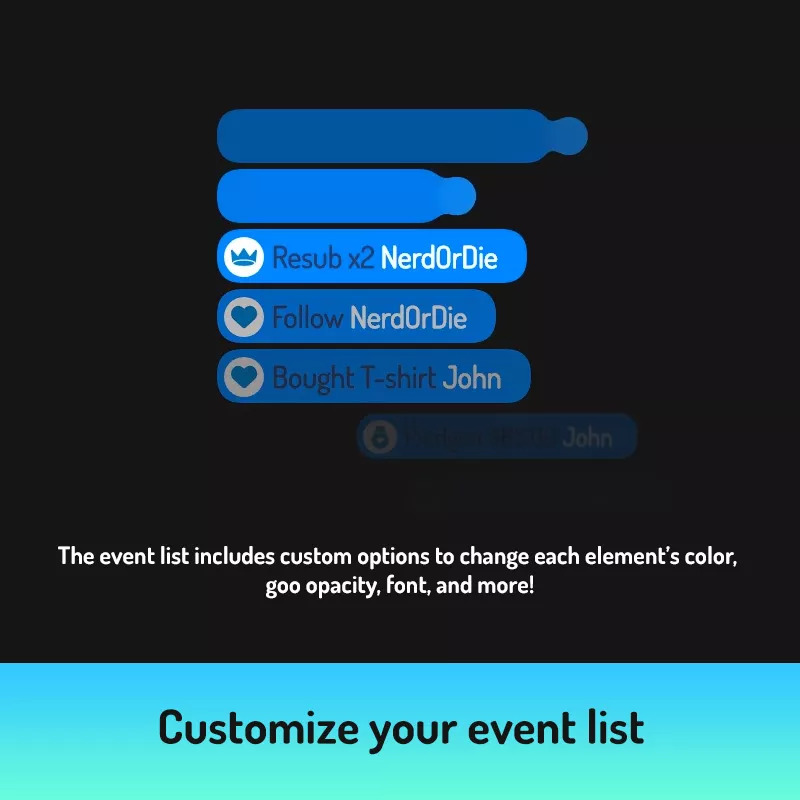 These alert and event list widgets let you customize the colors, font, and language used for all elements in the design. You’ll be able to use the Streamlabs quick setup link to install in seconds. Above is an example of the alerts, with default options. 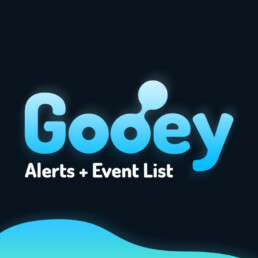 View the event list example below. This stream package is designed for use and is fully supported with Streamlabs and will work for streaming on Twitch, Youtube Gaming, Facebook and Mixer. Fully tested for OBS Studio, Streamlabs OBS, and XSplit Broadcaster, and BEBO.